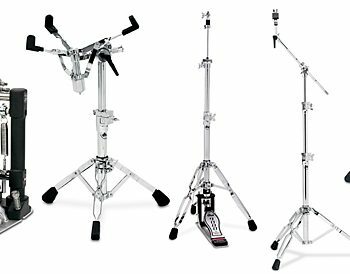 Tama’s Titan line of hardware stands for drum kits were always the stuff of legend—heavy duty and ready to handle decades of world tours. As a kid, it took two of us just to carry the gig bag containing enough stands to outfit a five-piece kit. So when Tama introduced its Iron Works line of microphone stands, our immediate thought was, This makes total sense! 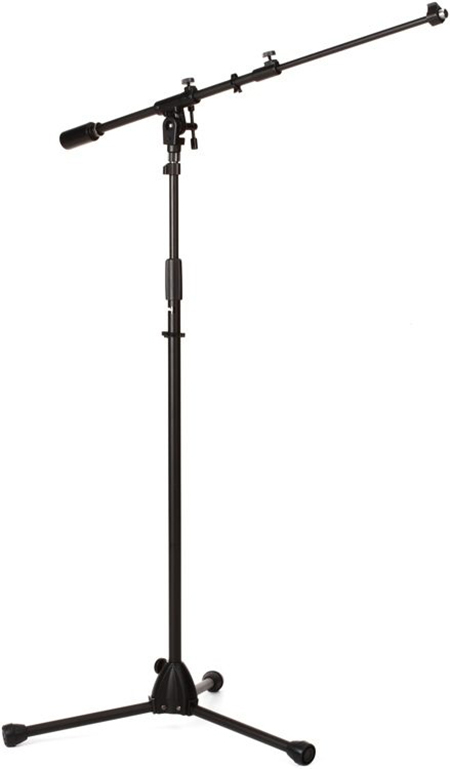 After living for a few months with the MS756BK, the “standard” microphone boom stand model in the Studio family, we’re ready to toss all the cheap stands from our studio, because these are truly the stands we’ve been waiting for—and the stands you’ll want to use in the studio (and on stage). Looks can be deceiving, because at a glance, you’d think these are just like those low-cost stands you have undoubtedly used—with plastic grips and washers that are easily over-tightened and stripped and hollow, aluminum, tripod bases that make them suitable for nothing more than your typical live sound microphone. But the Iron Works stands live up to their name, featuring solid iron legs that create a bottom-heavy design that prove extremely durable in use. 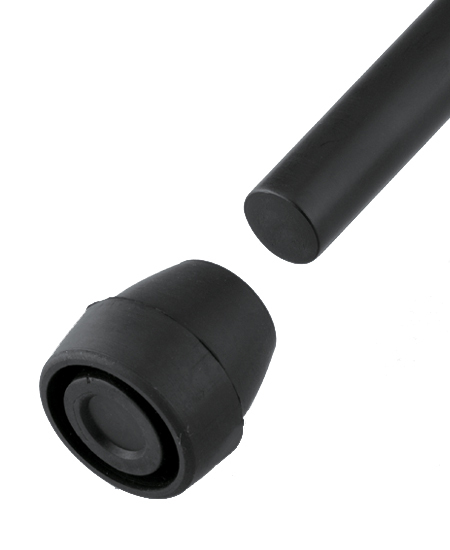 Large rubber feet on the ends reduce vibrations coming off the stage. Nowhere to be found are cheap plastic parts. The boom tilter is a new design featuring multiple metal plates that are easily secured without risk of over-tightening, and even the height adjustment collar is an all-metal (zinc) affair. 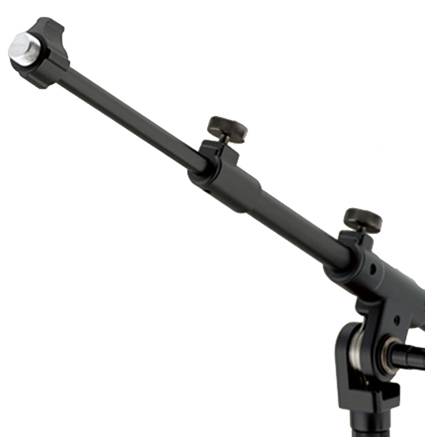 Multiple sections on the boom arm provide plenty of extension, and there is also a removable counterweight at the end. 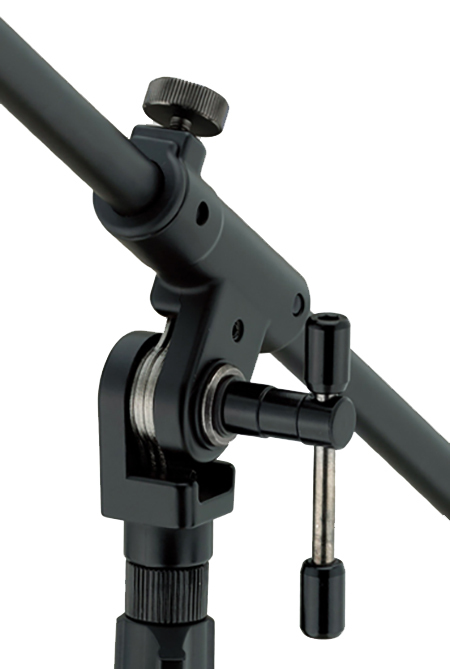 We also like the oversized collar at the mic clip end that made it easy to attach both stage mic clips and studio microphone mounts. 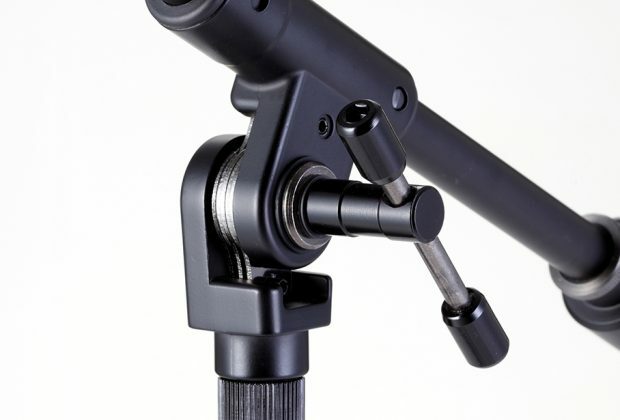 With rugged metal construction and proper weight balance (and a hefty 11.8lbs weight), these stands are perfectly capable of supporting your studio condenser microphones! 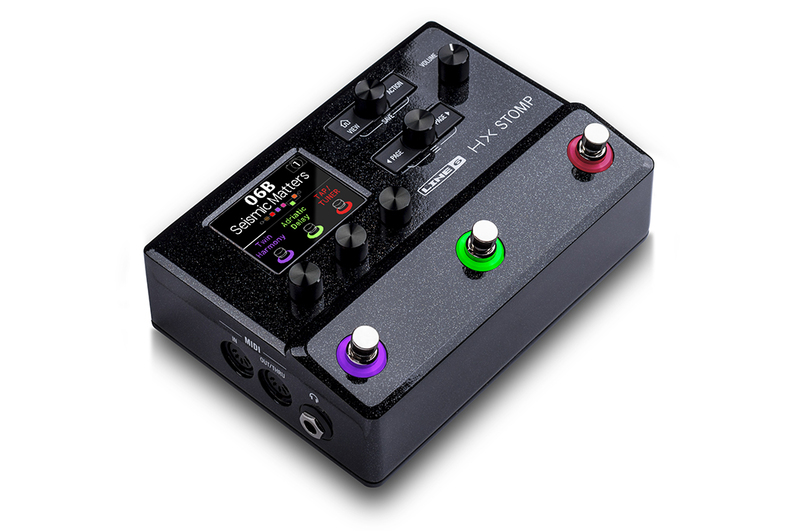 We used this with numerous studio condenser mics in shock mounts including an MXL Revelation Solo (a large tube mic that weighs just over two-pounds, a pricey Shure KSM-44 condenser, and a classic Audio-Technica AT-4033. Never did we have problems or fear of balance/falling, and the boom arm never lowered over time from the weight of microphones. We used this stand through lots of vocal and instrument recording sessions. We love using tripod-based boom stands for positioning mics on a drum kit, and the Iron Works stand is well suited to the task as well. No more need to throw beanbags around the base of those other stands, nor concern that mic position would drop slightly on our drum kit overnight. 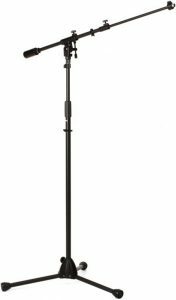 This stand is also fantastic for use with typical stage mics, as the rugged construction and stability make it an easy choice for any sound reinforcement company or clubs that provide stands for all of their performers to use. But Tama has a Tour line of stands that shave a few pounds off the product for that purpose. Studio boom mics can be cost prohibitive for the project studio, especially when you need more than one of them. But as it turns out, the Iron Work stands are priced very reasonably. 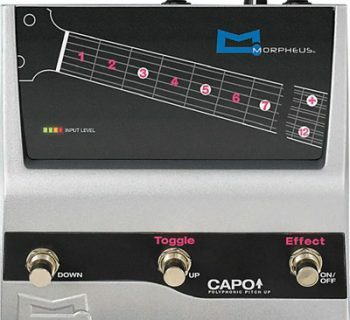 The MS756BK (MSRP $204.27) sells for approximately $130, and there are additional stands in the Studio line available in smaller sizes and configurations. 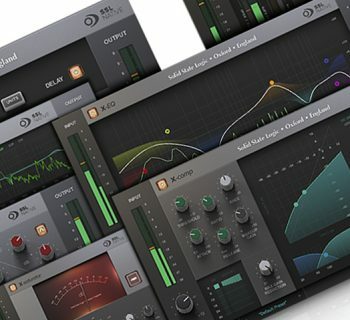 It seems like the market (especially the studio) was really lacking mic stands in that middle spectrum between cheap products that have a limited lifespan and questionable durability, and bulky, pricey options that are limited to big studio use. Tama really hit the mark with the Iron Works line, and we are really glad to have discovered these. We’ll be purchasing more of these for sure.